Artsplace is proud to be a free-standing art school owned by the Town of Cheshire (www.cheshirect.org), since 1991. Artsplace is also a department subset of the Cheshire Public Library (www.cheshirelibrary.com). Many activities and special events are co-sponsored and reflect not only the fine arts, but also the performing arts, literary arts and outreach programs. Artsplace provides a creative environment for students to explore their artistic endeavors. This is possible with our fantastic teaching staff (many national award winners) of over 20 professional artists. Art classes and workshops are offered in a wide variety that are suitable for all ages and levels. The youngest Artsplace student is three and the oldest is ninety nine. Artsplace is a most uncommon art school in that standard supplies are provided for all classes. For those unsure of their skill levels, we will be happy to guide you. Teachers are generally able to accommodate various ability levels in each class. Teachers strive to help every student achieve personal success in art in a stress-free and fun environment. The Cheshire Performing & Fine Arts Committee (CPFA) is a board of eleven appointed volunteers, meeting every third Tuesday at 7pm to promote the arts in Cheshire. 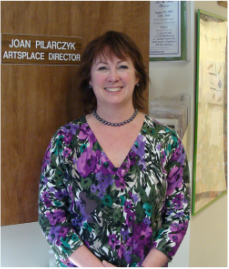 Artsplace is an outgrowth of this important committee, established in 1989. CPFA sponsors many events, one being ARTSDAY held every March. Also essential to the success of Artsplace is the Friends of CPFA/Artsplace, Inc. They sponsor an annual Author Event to raise funds for the Art Heals program. The Friends also offer an annual scholarship to an adult woman and provide support for many other Artsplace programs. Show your support by joining Friends. Yearly membership is only $5.00. The forms are in the main office lobby. Thank you! Life is short, art is long. Keep making art!